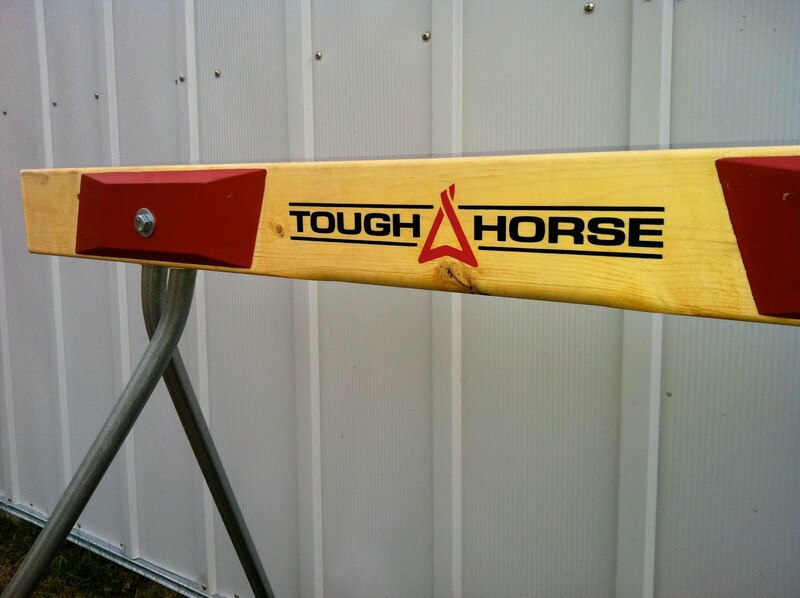 There is a new kind of sawhorse in town…The Tough Horse. The sawhorses have lightweight metal triangular legs that have a patented hinge mechanism that enables them to twist to lay flat or remain level on uneven ground. This ability allows for easy storage and transportation. I had the privilege of working with Revolution Holding Co. (the inventors of the Tough Horse) to design a logo for their awesome sawhorses. I knew right away I wanted to capture the twisting leg feature that makes the Tough Horse so unique, as well as keeping it super clean, simple, and ‘tough’. After taking several pictures of the sawhorse, I found just the right angle and went from there.